The Sant’Agostino Conference Centre is managed by Cortona Sviluppo S.r.L., a mixed private and public capital firm set up in 1986 with the aim of increasing and promoting tourism in the Cortona area through bringing business to the conference centre. 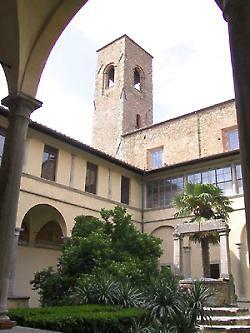 The convent itself is a large, square building erected around a central cloister that contains 29 frescoes depicting episodes from the life of St Augustine. The magnificent halls that house the conference centre, as well as all the necessary services it provides, all face onto the main courtyard.